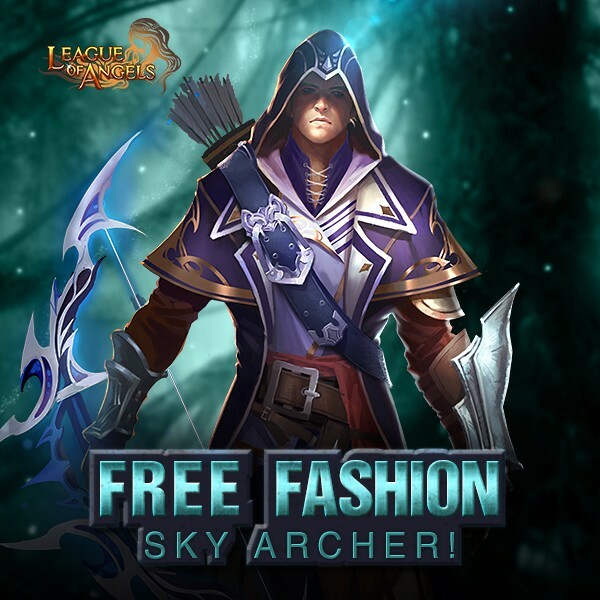 LoA_New Fashion Sky Archer for Free Players! Achieve certain goals to gain the new costume Sky Archer, for free! The Rewards can be collected in the in-game Hot Events. The event will be unlocked on the 8th days after the server has opened, this rule applies to all servers which have been opened later than S373.